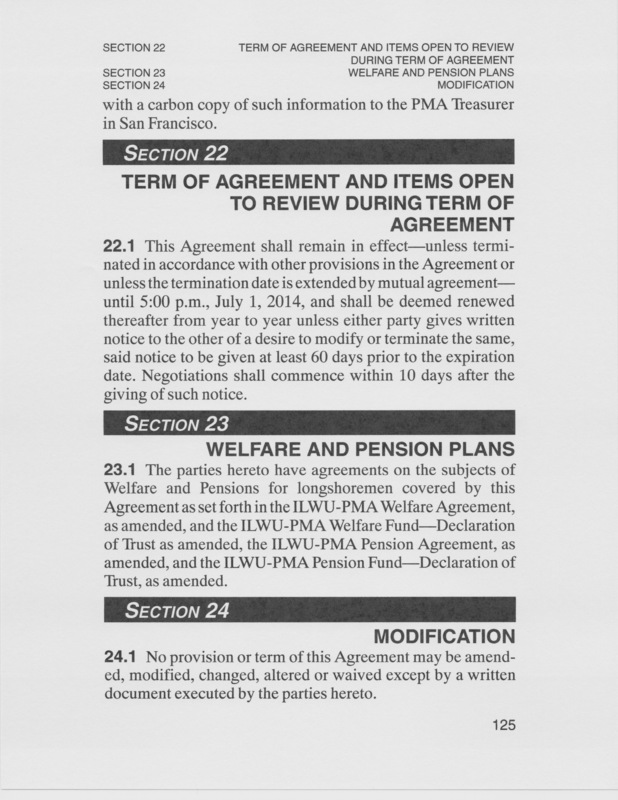 NON-PMA member shows that PMA is not needed to get increased crane productivity out of the ILWU, they just need to have a meeting with Local 19 President, Rich (The Ball Washer) Austin. 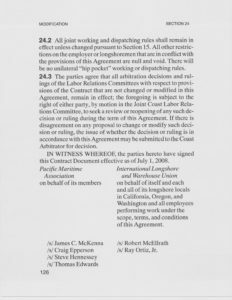 Up until yesterday I thought that the following JOC article about increased productivity and the ILWU/PMA early talks was wishful thinking at best. 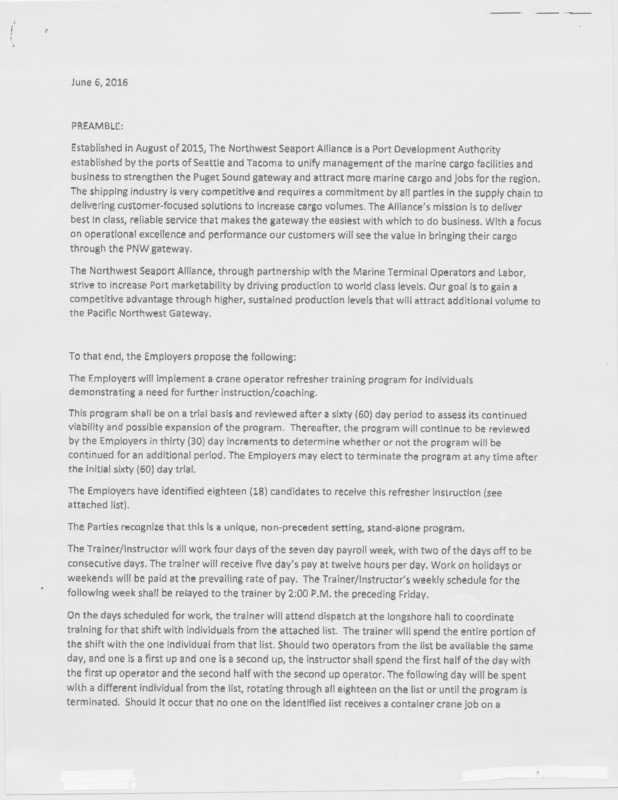 That was until I read the following Agreement between Local 19 and the Northwest Seaport Alliance. 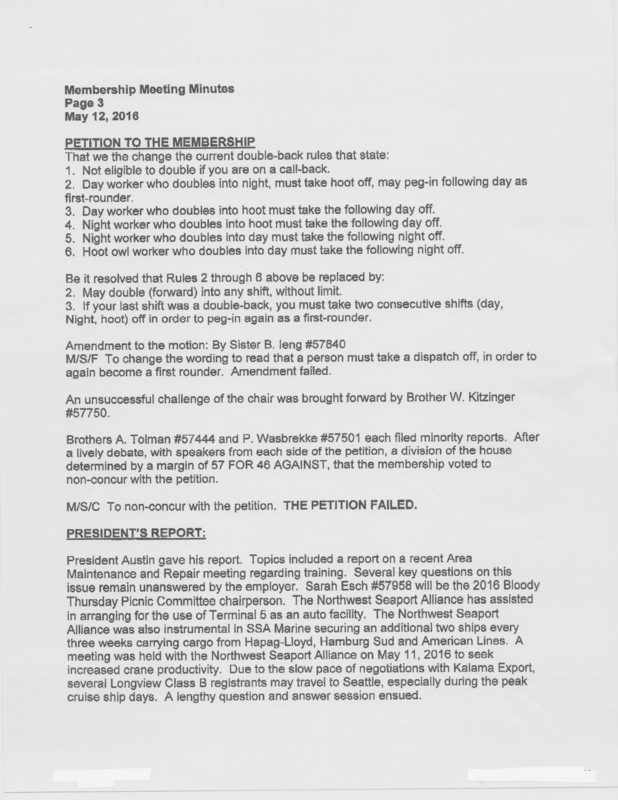 According to the Presidents Report from the May 12, 2016, Local 19 Membership Meeting Minutes, the Northwest Seaport Alliance Agreement is the result of a meeting held on May 11, 2016, with the Northwest Seaport Alliance who was seeking to increase crane productivity. I hope the NON-PMA agriculture group and/or the NON-PMA retailers group are paying attention, they might learn something. 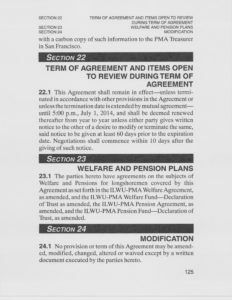 Never mind that the Agreement is a hip-pocket agreement in violation of Section 24.2 of the PCLCD. What kind of measurements are “they” going to use and how is the measuring going to be done? 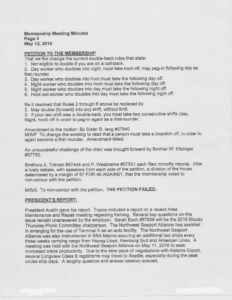 These questions are usually answered through the collective bargaining process, but that did not happen here. 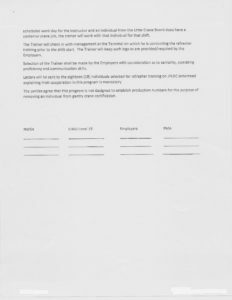 Do the morons that wrote; “The Parties recognize that this is a unique, non-precedent setting, stand-alone program,” really think they can stop others from demanding the same from other Locals with that language? What is Rich Austin going to get out of this? 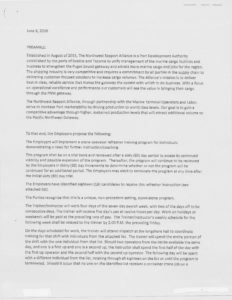 How about an all expense paid vacation to God knows where, to help the Northwest Seaport Alliance increase Port marketability? First Class of course. Way to go Rich. Ask your Union buddies how they feel about your Local agreeing to set minimum production standards (crane moves per hour) for the first time on the West Coast? « Chassis? Chassis? You talkin about chassis? Cause no one is talking about them on the West Coast.